ICICI, India’s second largest private bank, has recently announced the enlisting of more than 250 corporate to conduct domestic and international financial transactions using ICICI’s blockchain platform. 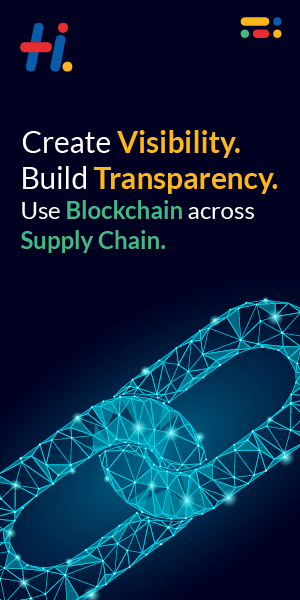 Blockchain technology has been successful in revolutionizing trade finance sector. ICICI bank is planning to become a pioneer in providing quickest and the most secure trade finance services to its clients. This is in line with the banking giant’s earlier pilot efforts in 2016 when they had used blockchain platform for cross-border financial transactions with the bank Emirates NBD, based in Dubai; a bold move to take advantage of the advent of new technology which proved itself well. The announcement is indeed a significant signal on the increasing confidence of the majority on blockchain platform technology. ICICI’s pivotal initiative to enlist the participating banks could even perhaps become the world standard for the integration of blockchain technology to traditional banking. Major corporations could take advantage of the system by applying it to various types of transactions such as salary payments, supplier payments, cross-border transfers, remittances and others more. According to Chanda Kochhar, the managing director and CEO of Mumbai based ICICI Bank, the use of blockchain technology has great potential to simplify complex transactions which usually requires intensive documentation. Aside from saving a lot of valuable time for operations, there’s also the lower costs of human resources and perhaps transportation, and transactions would be more safe and secure. ICICI has noted that the blockchain platform could grant participating entities to monitor transaction data in real time. Parties involved in a transaction can even track documentations along the way. Authentication and validity of documents and the transactions could be made more secure with the help of advanced encryption and digital contracts. What used to be paper-intensive transactions, will be digitized and condensed to electronic, distributed and unalterable ledger as a source of information. Eventually, transactions will be faster, safer, economical and more efficient. The blockchain technology makes the world a smaller place, from a positive perspective. Parties involved could dwell on the same platform of transaction and decisions could even be made in real time as the transaction progresses. Chanda Kochhar further stated that ICICI is also collaborating with other partners and banks with the intent of developing a shared ecosystem for the industry. Such a system should set working standards which could further establish the effectiveness of the blockchain platform technology integrated to traditional banking. The adoption of one standard system language is essential to this initiative as a whole and will further dampen out any complexity. The enlisting of more than 250 corporate onto ICICI’s blockchain platform is indeed monumental as it marks the highest number of corporate participants on any blockchain platform. With ICICI running 4,856 branches and the integration of the blockchain platform, the outcome will be nothing short of revolutionary. Such a dauntless move will redefine banking itself that we know today. Aside from defying the time element for transactions and making things more secure, most agree that it can also hinder corruption and consequently accelerate the development of not just companies, individuals or a country alone, but even that of the world itself.